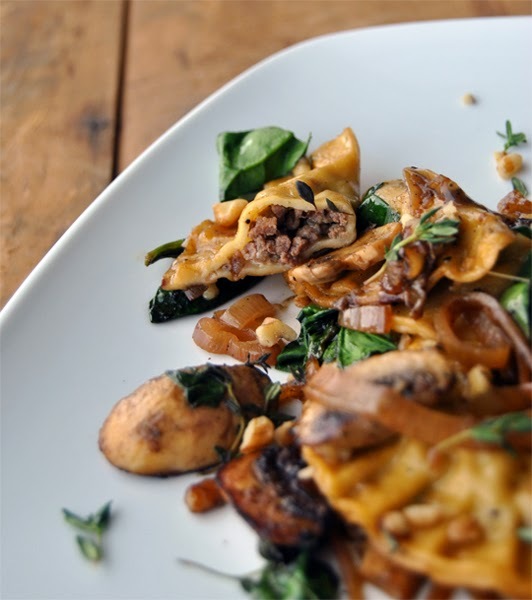 This is the epitome of a savory dish: rosemary, sage, and garlic infused venison wrapped into ravioli and smothered in spinach, mushrooms, shallots, and a simple white wine sauce. 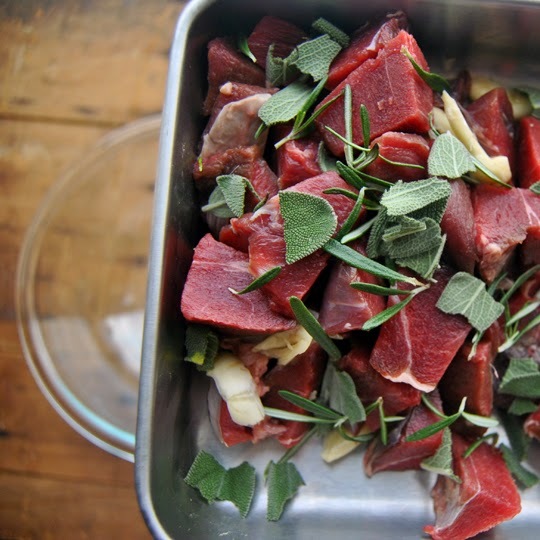 Use a Meat Grinder to grind the venison, garlic, rosemary, and sage together. Grind first through the coarse, then through the medium plate. 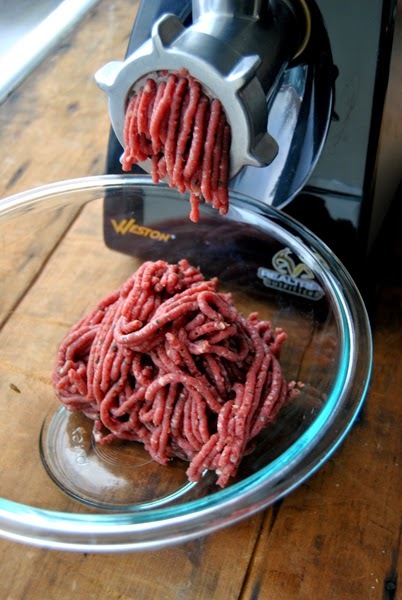 Chill the meat while you prepare the pasta dough. Create a mound of flour in a large mixing bowl. Dig a well into the center of the mound, then break the egg into the center. Use a fork to stir the flour gradually into the egg until a uniform dough forms. Cover with plastic wrap and allow to rest 30 minutes. Brown the venison in a skillet over medium heat. Once lightly browned, cover to keep warm. Use a Pasta Machine to roll out the dough. Use the Ravioli Makers to cut circles from the dough. 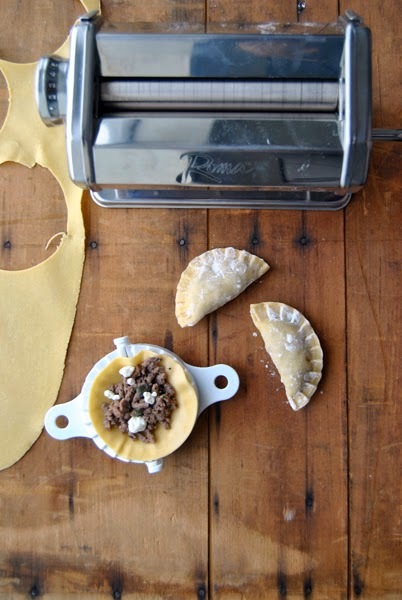 Place one dough circle over a floured Ravioli Maker, wet the edge of the circle, drop a tablespoon of venison into the center of it, and sprinkle with a little goat cheese. Close the Ravioli Maker to seal the ravioli. Repeat for the rest of the dough. Cook the ravioli in the boiling water for 3-5 minutes, until the noodle is soft. 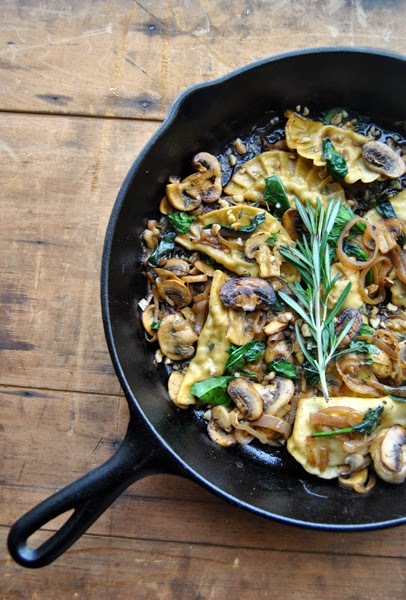 While the ravioli cooks, sauté the shallots in the skillet with one tablespoon of butter over high heat. Once translucent, add in the mushrooms with the other tablespoons of butter. Once the mushrooms have browned, pour in the white wine. 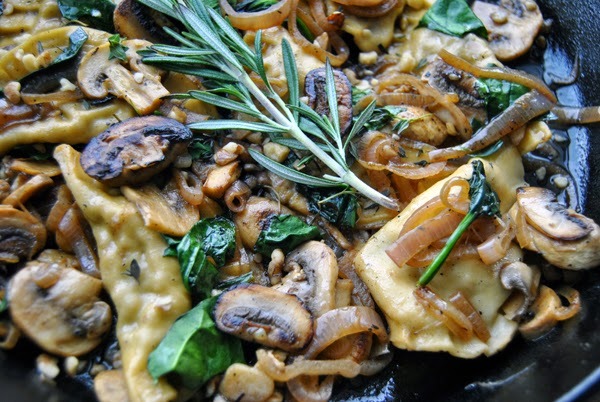 Toss in the ravioli once they're ready, remove from heat, and toss in the spinach. 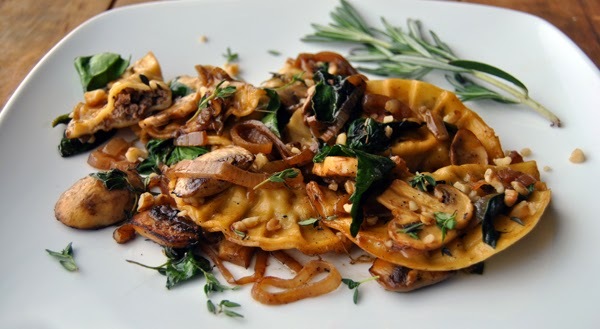 Serve hot, sprinkled with thyme leaves and walnuts.